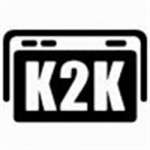 K2K Radio was set up in 2012 to provide a platform for people to connect, gain skills, develop experience and to build communities. It's growing, reaching more people and we want to make it shine! An entirely volunteer-run community project which is an on-line radio station with outside broadcasts & events. Was devised to empower participants with skills, community connections, creativity, opportunity & well-being. Playing live and pre-recorded shows 24 hours a day, has 50-70 DJs who pay a small contribution for their airtime to cover the costs. We offer free airtime to South Kilburn residents. Plus delivers free radio training workshops, helping individuals to build skills, connections & confidence. Takes part in local community festivals & events by providing a stage with DJs, or broadcasting live from the event. Has a varied selection of shows representing different genres, formats & languages. We have strong social media presence & our DJs upload their shows on Mixcloud to build their own following. K2K is intergenerational, inclusive, open, works with many local organisations, are always looking to build more partnerships & has a positive brand recognition across London. We receive a lot of love & positive feedback from the people who are involved with the station, bring an engaging presence to community events and have successfully run workshops with groups in schools and other community projects. We would like to develop our social media reach further, widen participation and take part in more events as well as festivals. Since we rely on volunteers, their time is limited and we feel it is time to create a dedicated role to mark our presence which is locally engaged and internationally minded. We revel in diversity and inclusivity and want to flourish too! K2K was set up as a legacy project for South Kilburn Studios as a way to engage & empower the Kilburn to Kensal community, strengthen local lives, links & organisations. Running the station was part of the community giveback brought by experience of setting up radio stations across the world, local marketing reach & connections built over ten years of running local festivals, events and community spaces as well as running SK Studios. local area, including at the studios, it would offer a platform for people to connect and benefit: at events or through working on the station, by listening to the station and through social media. When we launched we ran a K2K winter market alongside it which included performing art projects. The vision was always that it would be a community-owned asset to benefit local people and we are proud of our great committed volunteers and DJs who own & love K2K Radio. On-line radio, engaging off-line through skills building. 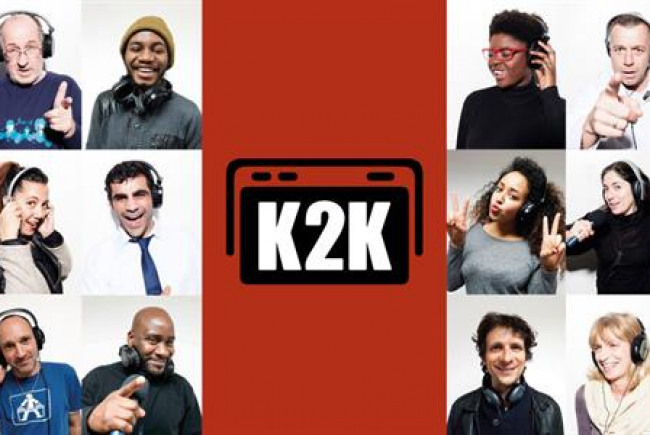 K2K (Kilburn to Kensal) Radio was set up in 2012 to provide a platform for people to connect, gain skills, develop experience and build communities. - Is an entirely volunteer-run community project. Our volunteers help with station management, studio management and at outside broadcasts and events. - Is a participatory media project devised to empower participants with skills, community connections, creativity, opportunity and well-being. - Is an online radio station playing live and pre-recorded shows 24 hours a day. Live shows broadcast from 5-10pm Monday-Friday, with extended hours on Friday. - Has between 50-70 DJs who pay a small contribution for their airtime to cover the costs. We offer free airtime to SK residents. - Has around 15-20 volunteers in addition to the many DJs and presenters. - Delivers free radio training workshops, which help individuals build skills, connections and confidence. - Takes part in local community festivals and events by providing a stage with DJs and in some cases broadcasting live from the event. - Has a strong social media presence, in particular on twitter. Our DJs put their shows out on mixcloud to build their own following. - Is intergenerational, inclusive and open. We have worked with many local organisations including South Kilburn Trust, OK Club, DALO, Granville Community Kitchen, Brent Centre for Young People, SPID Theatre, The Roundhouse, DreamArts, Queens Park Community School, Queens Park Residents Association and Brent Council Youth Service and are always looking to build more partnerships. - Has positive brand recognition in Brent and across London and has built a good reputation over the past three years.